Despite huge investments in intranet systems and portals, very few organizations are actively measuring the value of such investments. An intranet investment must keep delivering measurable performance and remain accountable to the investment. Lack of measuring the value may result in failing the needs and demands of management, employees, and customers. The most valuable benefits are the most difficult to measure ... these are often less tangible, latent, and inherent. Here are 10 metrics to monitor when determining an intranet ROI. 1. What's The Maturity of the Intranet? Early intranets were largely measured based on their uptake. Number of pages, number of authors, etc. were the defining factors. As intranets continued to evolve, activity metrics also became another way to determine intranet ROI. The number of hits and comments were of prime importance. Today, intranet software has evolved to the point where more important metrics such as the money saved/made, reduction in development costs, and customer service scores are used to measure impact. 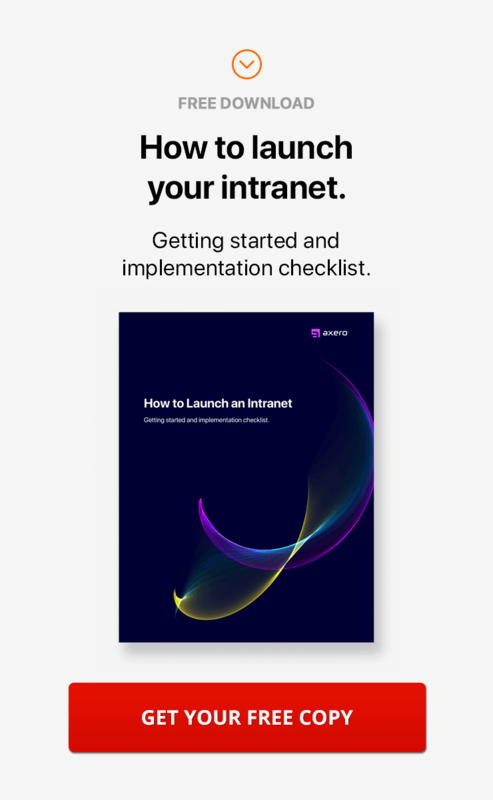 Using these latter metrics enables you to determine the real impact and value an intranet is having on your organization. Does the intranet support core business objectives and is it being used as a key part in daily work? These metrics are more important and valuable in measuring impact than uptake and activity numbers. 2. Are People Actually Using Your Intranet? An intranet is a gateway of information. Whether you author a wiki, a blog, or some other content, it has the potential to reach a wide audience within your organization. The number of employees who read content can be used to measure your intranet ROI. By determining the number of users who are plugged in, or have intranet access, you can determine how many are using the network for research and as a knowledge hub. By putting the right triggers in place, it is even possible to determine how readers are navigating from the home page to find your blog or wiki. You can also determine how long they are taking on a blog. 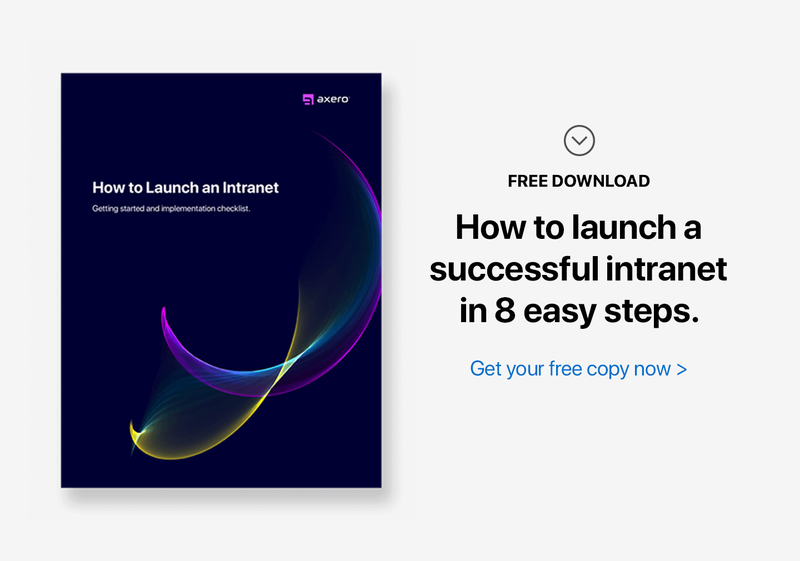 Overall, all this information can be leveraged to see if the intranet is having any effect in how your employees gather and consume information. 3. 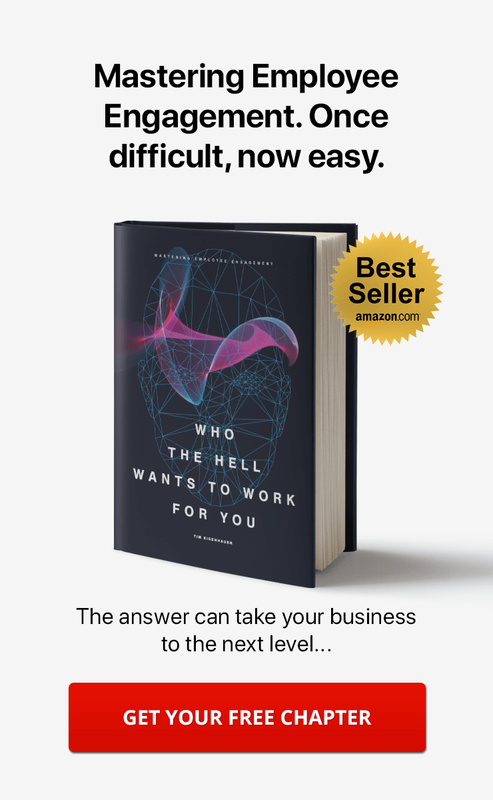 How Engaged are Your Employees? Engagement metrics have largely been used on public social networks as a way to measure the impact of a blog post, a picture or a video. Such engagement can be in form of comments, discussions, or debates. The more readers comment on an article, the more likely they are engaged and the more impact the post had on them. Intranet engagement can also be determined by the frequency of discussions emanating from authored posts. If there is no reduction in engagement over time, then the impact of your intranet can be considered high. Tracking the number of comments over time is a great way of seeing the long-term impact the intranet has on your employees. 4. What is the Satisfaction Level? Satisfaction is usually measured using an average user rating system. Users can be asked to rate an article on a five-star rating scheme. The results can then be used to determine the engagement or satisfaction level. Satisfaction ratings can even be employed on an intranet where users are asked how they feel about the platform. Rating alone, however, is not a very accurate measurement. It has to correlate with engagement. If a user rates an article at, say a five, then this should be shown by how engaged they are. How often do they use the intranet for research? How many comments have they left? What is the quality of such comments? The satisfaction level and their engagement must align for this metric to be of value. 5. How Relevant is Your Content? The relevance of content is yet another important metric when measuring intranet ROI. Relevancy is a qualitative assessment as to whether or not it's what employees were looking for. It measures if content made users think, feel, see, and do what the content was intended for. An editor will largely be responsible for this aspect of your intranet. A rating scale can be used to measure the level of relevancy to determine if published content elicited the thoughts, feelings, and actions intended. 6. Are Your Page Bounce Rates Low? For years, websites and landing pages have used the bounce rate to determine relevancy, conversion rate, and effectiveness of their copy. A high bounce rate means that visitors stayed only for a short while, perhaps seconds, on a page. A low bounce rate signals that people are staying on pages and giving the content their attention. Bounce rates are determined by putting in place parameters that monitor the number of visitors and how long it takes before they navigate to another page. Bounce rates are expressed in percentages and can offer great insight into how your intranet content is doing among employees. 7. What are Your Hard Cost Savings? This is a no brainer. Your intranet investment may have pushed your budget a little to the edge. You want to know if the investment is paying off. Hard cost savings range from paper reduction to less phone calls and other office resources as a result of intranet use. An intranet has the potential to cut down on paper printing and circulation and manual software installations. Over time, these costs can be quite high. Start by measuring paper usage before an intranet is deployed and over time, see how this goes. If no reduction is evident, then the intranet is not offering any hard cost savings. In most cases though, hard costs will usually be evident in one way or another. 8. What are Your Soft Cost Savings? Soft costs have to do with software installations and distributions. It is possible to deploy and run third-party and customized software applications right on top of an intranet. This saves you both the need for installing applications on individual machines and managing them separately. On an intranet, applications are located on a central repository and any upgrades are centralized. This saves both time, money, and improves efficiency. 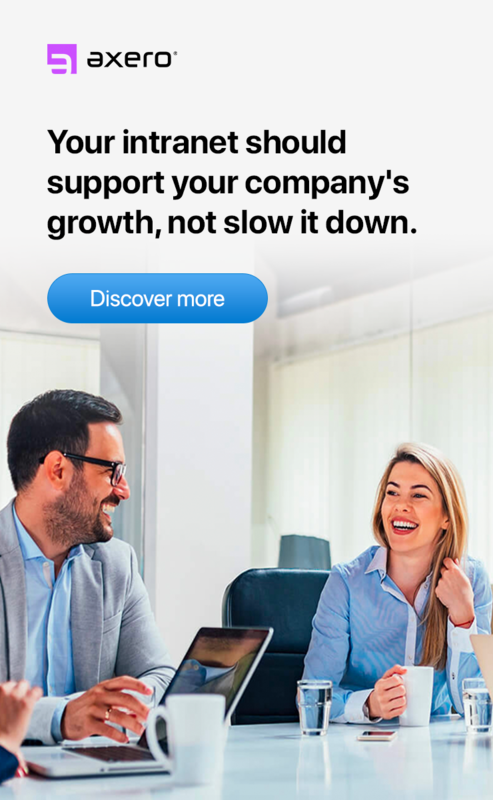 Support no longer needs to worry about access or upgrades which can translate into huge savings, especially in organizations with geographically-spread employees. 9. Has Your Organizational Efficiency Gone Up? An organization's efficiency is a critical metric for measuring intranet ROI. Efficiency reduces costs and positions an organization for future markets. An efficient organization is agile, mobile, and able to deliver savings directly to its bottom line. Efficiency can be measured by how much an organization is saving as well as the speed-to-market. An intranet can enable the delivery of products and services at a much faster rate when employees collaborate. To determine efficiency, measure how fast a process takes when using traditional methods and when using an intranet. What are the costs incurred from a slow process and what are the cost savings when the intranet is implemented? 10. How are You Meeting Your Intranet Objectives? Your intranet strategy and objectives make up the roadmap to what needs to be accomplished. Identifying measures in relation to those objectives can help determine an intranet ROI. This is where qualitative measurements come into play. One way to do this is to see how specific enhancements are impacting user behavior and experiences. Start by encouraging feedback. Author a blog post that highlights specific enhancements on the intranet and encourage feedback. Encourage users to use these specific features and monitor their comments or likes. As you listen to such feedback, you can determine how certain intranet features are impacting your employees and what you can do to make their experiences better. Ascribing a value, whether monetary or non-monetary, is key to measuring intranet ROI. It will help you determine if you are meeting your objectives and if the investment is paying off. Without any measurements, there is simply no way of knowing if your intranet is giving you the expected returns.